It’s time for celebration over here at the Anvilimage compound! 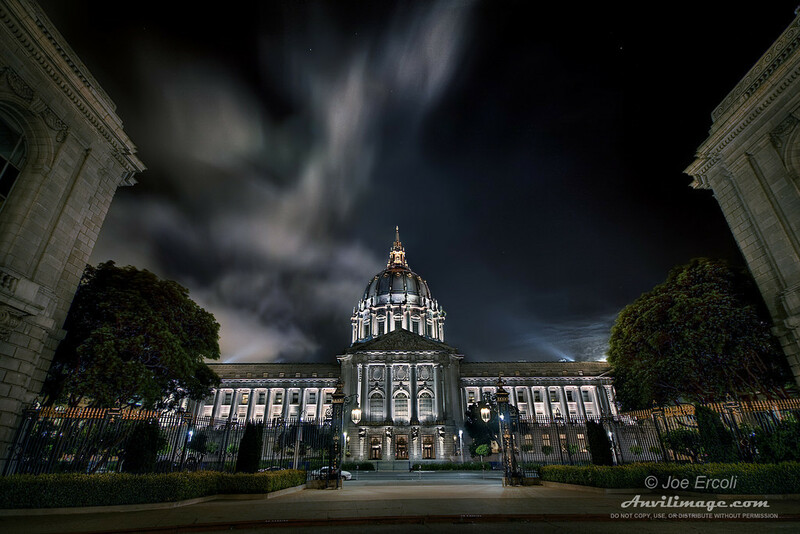 My image of San Francisco’s City Hall (shown above) won second place in an HDR photo contest hosted by Rick Sammon! I want to congratulate my fellow contests: Michael J. Smith for his first place entry and Rory Mole with his third place image. Thanks, Rick, for putting on this contest! Take a look at the images from the other contest winners and visit Rick Sammon’s blog. My original post about the the SF City Hall HDR gives more information about the image and how it was taken. Takin’ It All the Way to City Hall Welcome to the Hive – San Jose City Hall in HDR Post St East Another Merit Photo @ the Print Competition It’s Raining Stars! This entry was posted on Friday, January 8th, 2010 at 1:50 pm	and is filed under Blog, News and tagged with architecture, city hall, columns, gotham, HDR, night, San Francisco. You can follow any responses to this entry through the RSS 2.0 feed. Congrats! It really is a great image. Congratulations Joe! One of many to win I'm sure! Joe! Thats awesome dude. Congrats! Was this the contest I sent to you?